Ashok Jhunjhunwala,Institute Professor at IIT Madras, did his B.Tech degree from IIT Kanpur and MS and PhD from University of Maine, USA and was a faculty at Washington State University, USA for a year and half before joining as a faculty at IIT Madras in 1981. In 2017-18, he was on sabbatical from IITM and was Principal Advisor to Minister of Power, MNRE, and Railways, Government of India, New Delhi. Prof. Jhunjhunwala is considered a pioneer in nurturing Industry-Academia interaction in India towards R&D, Innovation and Product Development. He conceived and built India’s first university affiliated business park (IIT Madras Research Park) to promote Industry-Academia R&D collaboration. TIE conferred him the title of Dronacharya for his contributions to the cause of entrepreneurship, as he incubated and nurtured more than 180 companies at IIT Madras. He heads the IITM Incubation Cell and Rural Technology and Business Incubator (RTBI). He leads TeNeT group, which has worked closely with industry to create innovative affordable products in sectors like telecom, banking, energy and electric vehicles. Dr. Jhunjhunwala has been Chairman and member of various government committees and has been on boards of several education institutions in the country. At the same time, he has been on the boards of a number of public and private companies and has driven comprehensive changes, especially in the areas of technology, in these companies. He was on the boards of State Bank of India, Bharat Electronics Ltd, HTL, NRDC, IDRBT, VSNL and BSNL as well as in Tata Communications, Mahindra Electric, Sasken, Tejas Networks, TTML, Intellect and Exicom. He is currently also on the board of BIRAC and the Chairman of Technology Advisory Group of SEBI. Also he is currently Chairperson in IIIT Kottayam and College of Engineering, Trivandrum, Kerala. Dr. Jhunjhunwala was conferred Padmashri, Shanti-Swarup Bhatnagar Award, Vikram Sarabhai Research Award, H. K. Firodia Award, Silicon India Leadership Award, Millenium Medal at Indian Science Congress, UGC Hari Om Ashram Award, IETE’s Ram Lala Wadhwa Gold Medal, JC Bose fellowship, Bernard Low Humanitarian Award, “Dronacharya and Lifetime Achievement Award by TIE, Chennai among many others. 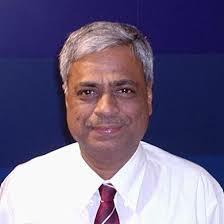 He is fellow of IEEE, INSA, NAS, IAS, INAE and WWRF and a member of National Academy of Engineering (NAE), USA. He has also been conferred honorary doctorate by University of Maine and Blekinge Institute of Technology, Sweden.